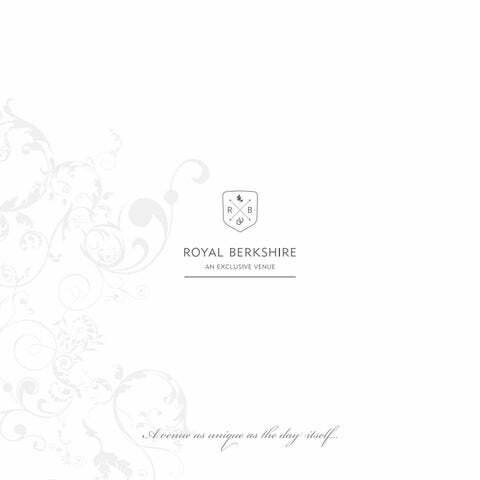 For a wedding to remember choose the spectacular backdrop of the Royal Berkshire, an Exclusive Venue. Set in 15 acres of beautifully manicured gardens, this elegant Queen Anne mansion house offers a rare balance of relaxed comfort, informal surroundings and impeccable service. Built in 1705 for Charles Churchill, son of the First Duke of Marlborough, the Royal Berkshire creates a picture perfect venue for your truly special day. Greet your guests over Champagne and canapĂŠs as they stroll alongside the romantically elegant fountain and gather together on the beautiful landscaped lawns. Our private walled gardens are licensed for civil ceremonies and our picturesque gardens provide a scenic setting for perfect wedding photographs, summer receptions and evening barbecues. Our delightful Berkshire Suite or stunning Library are both perfect for a more intimate indoor civil ceremony, with the Berkshire Suite opening up to allow 150 guests to celebrate the occasion under the chandeliers. We create bespoke weddings to suit your every need or, if you prefer, our stylish wedding packages make it easy and fun with stress free planning. If you are excited by the idea of your very own country house, the Royal Berkshire can be reserved on an ‘Exclusive Use’ basis or we can host up to 300 guests. With our fabulous selection of rooms and extensive grounds, we provide the most wonderful setting for your dream wedding. Everyone has unique ideas of what they would like on their special day and here at the Royal Berkshire, elegant dining meets fun and quirky additions making your day truly memorable for you and your guests. Join Chef and his team to discuss your precise requirements - they have lots of tasty dishes and creative ideas for you! And for your evening celebrations we can create a spectacular reception to complete your perfect day. We believe your wedding should be as individual as you are. At the very top of our priority list is making sure you get exactly what your heart desires. 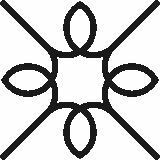 Our expert planners are discreetly by your side every step of the way with plenty of ideas, recommended suppliers and supportive enthusiasm! There is lots to do and we are here to make sure it all runs like clockwork. When all the speeches have been made and your celebrations are coming to an end, we have beautifully appointed bedrooms for you and your guests to slip away to... a truly memorable setting for your first night as a married couple. Your guests are eligible for special accommodation rates should they wish to stay the night. For those honeymooning abroad, the Royal Berkshire is only a 20 minute drive from London Heathrow Airport. A transfer can be arranged leaving you free to enjoy a peaceful and stress-free start to your life together.